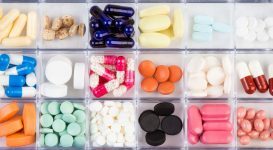 Until recently, there’s been relatively little medical interest in finding the commonalities and connection between migraines and epileptic seizures. After all, they appear to be two very different physiological events: migraines spread slowly and shut down electrical activity in parts of the brain, while seizures involve a surge in electrical activity that spreads rapidly. However, some people suffer from both seizures and migraines, and the two types of events come from the same brain cells. This has led some scientists to probe deeper into the connection, and in the last few years, they’ve been able to paint a clearer picture of how the conditions may be connected. Depending on the type of seizure, the sufferer may lose consciousness or they may be aware of what is happening. This is why health organizations recommend wearing medical alert jewelry for epilepsy. Some people also experience a strange smell or taste just before a seizure occurs. Following an epileptic seizure, the sufferer may feel disorientated, confused or tired and will often need to rest. Different teams have worked with different approaches to determine the root of the relationship. Some have focused on basic principles of physics — like conservation of energy — to discover the similarities in nerve cell behavior, while others have isolated a genetic factor in both migraines with aura and seizures. Physical and psychological stress can have far-reaching effects — that’s no secret. 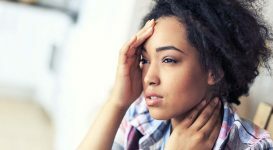 However, it appears that the stress of dealing with migraine pain can even trigger a seizure, suggesting that there’s some degree of crossover between the two conditions in the brain. 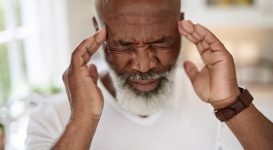 People who suffer from epilepsy sometimes experience what are known as pre-ictal headaches before the seizure hits, and post-ictal headaches after the seizure ends. 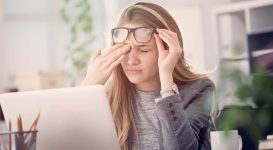 Though these types of headaches aren’t migraines, they may be tied to the same brain stem mechanisms that are responsible for migraine headaches. It seems that head pain plays a role in seizures. There are a number of similarities between migraines and epilepsy, and a number of important differences. Both can be triggered by factors such as stress, tiredness and alcohol, and both cause changes in brain function. Migraines and epilepsy can both cause symptoms such as sensory changes just before an attack, suggesting that the same brain pathway may be involved. 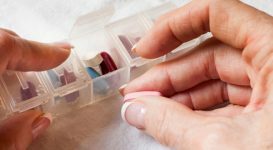 One of the most important differences between migraines and epilepsy is the duration of an episode. Epileptic seizures come on quickly and normally last just one or two minutes, whereas a migraine comes on more slowly and may last for hours or even days. If necessary, EEG tests can be used to provide a definite differentiation between migraines and epilepsy and give an accurate diagnosis. Next Page: More theories on the link between migraines and epilepsy, and the treatment for epilepsy and migraines.